Search Results for "apricot flowers"
Apricot flowers and tea cup. Spring atmosphere. Springtime blooming. Apricot flowers illuminating by warm sun beams. Springtime blooming. Apricot flowers illuminated with warm sun beams. Slow motion wide angle looking up shot with a blue sky and lens flares. Apricot flowers closeup and snowfall. Blooming fruit garden at spring and unusual weather. Problem in horticulture, bad harvest, abrupt cooling, climate change concept. Spring floral kaleidoscopic pattern with cherry & apricot flowers and leaves. Pink Apricot Flowers Blooming in Springtime. Apricot flowers and tea cup. Beautiful blooming apricot flowers on a branch in the garden. 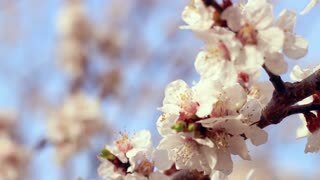 Beautiful blooming apricot flowers and blue sky. Branches of Apricot Flowers With Buds. Early Spring.